Welcome to the Boarders Inn & Suites in Shawano, Wisconsin. Our beautiful hotel is conveniently located near everything that Shawano, Wisconsin has to offer including Shawano Lake, Shawano County Expo Center, Shawano Medical Center, the Shawano Municipal Airport, Swedberg’s Funeral Home, and the Shawano County Fairgrounds. Our hotel provides easy access for traveling to and from Highway 29 and Highway 22. 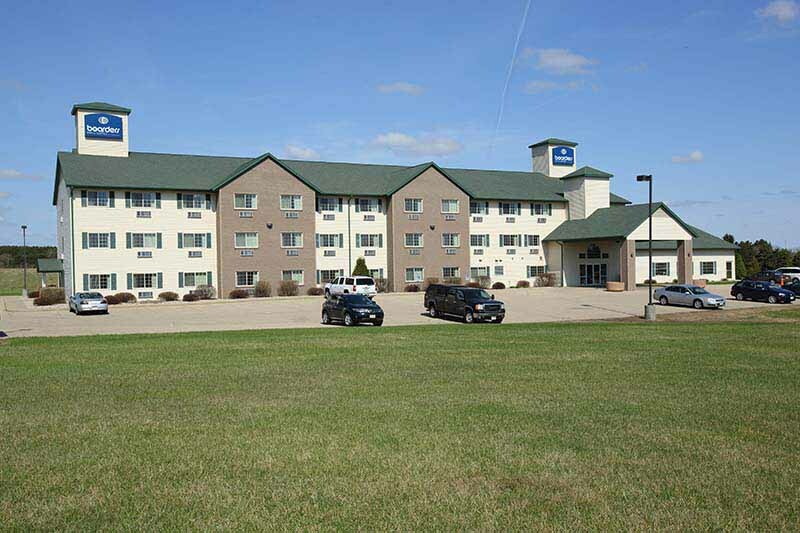 Located off of Highway 29, our hotel is within 40 miles of Green Bay, Wisconsin. In town for business? The Boarders Inn & Suites in Shawano, Wisconsin offers easy access to Arrowcast, Reinhart Institutional Foods Inc., Shawano Specialty Papers, Wisconsin Film and Bag, World Wide Sign Systems, and much more! In town for some fun? Check out the Moonlight Outdoor Drive In, Shawano Cinema IV, Emporer’s Buffet, Flamingo’s Family Restaurant, Angies Main Café, Hunan Chinese, Home Plate Café, and more.